On the last weekend of this month, July 2018, there will be a total lunar eclipse. The eclipse will be on the Friday/Saturday night, 27-28 July 2018. The total lunar eclipse will last about 103 minutes and is calculated to be the longest total lunar eclipse of this century (2001-2100). 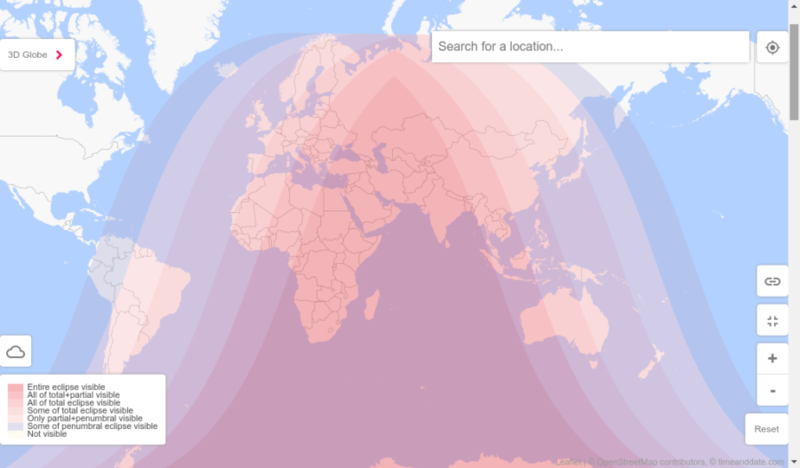 The eclipse will be visible in: much of Europe, much of Asia, Australia, Africa, South in North America, South America, Pacific, Atlantic, Indian Ocean, Antarctica. The lunar eclipse on 27 July 2018 is also called micro blood moon, because the moon is farthest from the earth and the appearance of the moon during the totality would be reddish in color. More information about the eclipse and the local times when this event occur can be found here. 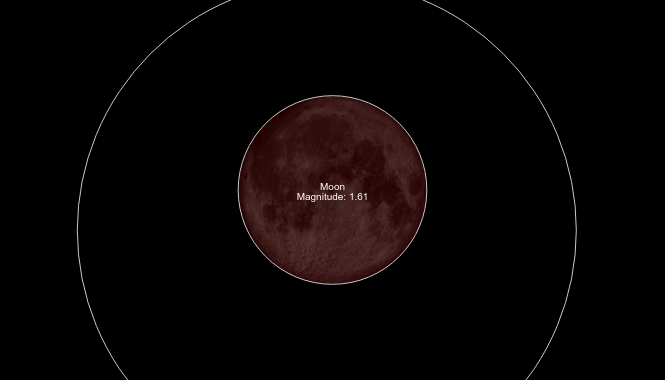 Simulation of the total lunar eclipse, showing the reddish color of the “Blood Moon” that occurs during totality. For muslims, the events of both lunar and solar eclipse are regarded as special times to show our humbleness and gratitude to Allah, the One who created both the sun and the moon. The times of eclipse are times for special sunnah (non-obligatory) prayer. “Verily, the sun and the moon are two of the signs of Allah and they do not eclipse on account of the death or birth of anybody. So whenever you see this, pray and invoke (Allah) until it is over. When an eclipse occurs, it is an act of the Sunnah to remember Allaah, supplicate Him, seek His forgiveness, recite Takbeer, offer charity, free slaves, and draw closer to Allaah Almighty with whatever one is able to do of good deeds. It is an act of the Sunnah to perform the Eclipse Prayer in congregation, and it is also allowable to perform it individually at home or elsewhere. The Shaafi‘is and Hanbalis held that performing the Eclipse Prayer in congregation is an act of the Sunnah for both the solar and lunar eclipses. The Hanafi view and the famous view of the Maalikis is that the Eclipse Prayer should not be performed in congregation in case of the lunar eclipse. Make an intention to pray this sunnah prayer and make the opening takbir. Recite (inaudibly) the Fatihah and a long surah of the Quran i.e. Surah al-Baqarah or its like. Say ‘Allahu Akbar’ and go into ruku. Stay in ruku for a considerable period of time. Say ‘Sami’ Allahu li-man Hamida’ and stand back up. Recite the Fatiha, again, followed by another long surah of the Quran that is not as long as the previous one i.e. Surah Aali ‘Imran or its like. Say ‘Allah Akbar’ and go into ruku, less prolonged than the first. Say ‘Sami’ Allahu li-man Hamida’, followed by‘Rabbana wa laka l-Hamd’. Then make two prolonged prostrations (Sajdatain). Say ‘Allahu Akbar’ and stand back up. Repeat steps (2) through (8), however, not as prolonged as the first; reciting Surah an-Nisa (or its like) in the third standing and Surah al-Ma’idah(or its like) in the fourth. Say ‘Allahu Akbar’ and sit back up. According to the Shafi’is and some Hanbalis, the imam then gives a sermon (Khutbah). However, according to the Malikis, there is no khutbah, but there is no harm in the imam taking the opportunity to admonish and remind the people.